We are always on-call and available to help with fast, reliable and affordable, emergency locksmith services. Prevent a lockout with a duplicate set of car keys. 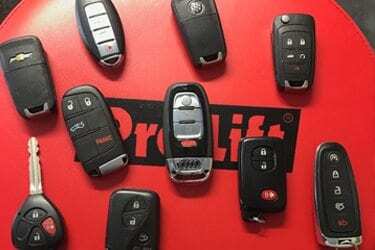 We specialize in laser cut and even transponder keys for most makes and models. Never get locked out again! From access control, to high security locks, safe programming, push bar installation, and digital lock systems, we can outfit your entire building with top-notch security. Advanced Lock & Key offers fast, affordable, and always-ready Locksmith services throughout the Cleveland, Northeast Ohio areas and beyond. Whether you’ve locked yourself out of your home or car, or need new keys for the office. We are committed to affordable emergency locksmith services no matter what time of day you call. Whether you’ve locked yourself out of the car or need new car keys altogether, we provide automotive locksmith services to get you back on the road and back to what matters in no time. Changing locks, master rekeys, lockouts, key duplications and even safe opening / combination changes are just a few of the residential services we offer to bring you peace of mind. We are here to help through business lockouts, high security locks, punch code locks, panic bar installations, door replacements, surveillance cameras and more. If you’re locked out of your car, or your home, call the trustworthy 24/7 team at Advanced Lock & Key for quick, reliable service. We’ll arrive on the scene quickly to come get you back inside no matter what time it is. If you need your locks rekeyed allowing you to keep your current hardware but making the old key inoperable or if you need your locks replaced with new and improved hardware, look no further. We can do it all same day service fast and affordable. We are experienced in opening safes, breaking and reprogramming codes to get you back to your valuables without damaging your safe in the event you are locked out. Master keys can be made to open all locks, or a selection of locks, allowing different access levels. We can install a master key system for your home or business, or rekey your existing locks to allow for a compatible master key system with what you already have. We provide replacement doors and installation services for residential and commercial properties. We specialize in everything from exterior and interior home doors, to apartment doors, revolving doors, motion-sensor doors, and steel doors. We can create new replacement keys for your mailbox, or duplicate existing keys in addition to changing or upgrading the lock entirely. We replace lost car, home or commercial keys or duplicate existing keys to ensure you have an extra set available. We specialize in even the most advanced keys, including programmable laser cut keys, and high security keys. Push button code locks are a convenient way to secure your property while eliminating the need for keys. 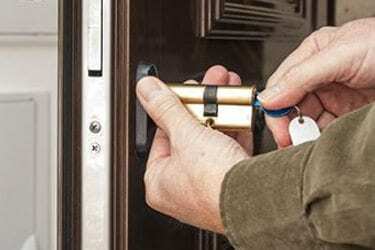 We offer supply, installation, reprogramming and opening of digital locks and push button code locks whether they are electronic or mechanical. Advanced Lock & Key specialize in installation and supply of award-winning Mul-T-Lock locking and access control products including digital residential locks, commercial access control, industrial locks, padlocks and more. Our high security keys are made to be far more complex and difficult to duplicate than a standard lock and key system. High-Security locks are stronger, more durable and much more difficult to pick, pry, drill or smash than standard locks. 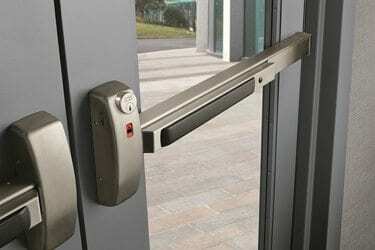 Push bars / panic bars provide a locking system while providing quick and safe exits in case of an emergency. We not only install push bars, but assure that your property complies with safety and fire regulations all the while keeping your building locked up and secure. We sell and install new surveillance camera systems for your home or business with competitive pricing and quick installation. 24/7 Advanced Lock & Key came out to my business and set us up for a new master key system for 180 doors. Had the job done in one day amazingly? They are prompt efficient and extremely fast. Thank you. We are excited about our new key system. Highly recommended! The valet company lost my car keys and my house keys. Jimmy came out and made me a new key on the spot and got me started. Made my awful night a lot better. He than followed me home, let me in and rekeyed all my locks and installed 2 dead bolts. Amazing service and professional. Best experience I could describe. It's hectic buying a new house and getting everything started. 24/7 Advanced Lock and Key came out the same day and worked with my availability. Got the best door's with excellent security. I definitely will be using their service in the future.